Y’all, barbecue is to North Carolina what pizza is to New York. And while many of the top barbecue destinations, like Texas, have a particular style, North Carolina has two styles. That’s how serious barbecue is in North Carolina. So serious in fact that it literally divides my home state of North Carolina in two, between eastern (whole hog pulled pork characterized by a vinegar-based sauce) and western (pork shoulder pulled pork characterized by a tomato-based sauce). Pulled pork barbecue has long been associated with North Carolina, but craft beer is trending now too, especially with North Carolina's status as the craft beer state of the south, featuring more breweries than any southern state. So with my love for barbecue (and craft beer), plus North Carolina Beer Month (and a Visit North Carolina and NC Beer Month takeover on WTG), it only seemed appropriate to do a barbecue and beer tour of North Carolina. Because what’s better than a North Carolina craft brewery road trip than a North Carolina craft beer and barbecue road trip? The North Carolina “Inner Coastal Plain” is a subjective term that refers to the eastern region of North Carolina that runs parallel to the Atlantic Ocean. However, for our purposes, I’m talking more about the inner portion of that region, around Wilson, Goldsboro, and Greenville, where you have a number of North Carolina’s best barbecue restaurants. When I was young, my parents would drive the couple hours from the Piedmont of North Carolina to Parker’s in Wilson. And then we’d turn around and drive back. It was, and still is, a North Carolina barbecue restaurant institution in Greenville and Wilson (and how great is it that they ship to anywhere in the U.S.?). But equally a North Carolina barbecue institution is Wilber’s, in Goldsboro, which has been serving up whole hog barbecue since the 1960s. Elsewhere, there’s Grady’s Barbecue in Dudley (only open for lunch), a proper North Carolina barbecue dive, and Skylight Inn in Ayden, which dates back to 1947, and has a renowned history that includes being featured by National Geographic in 1979 as one of the best barbecue restaurants in America. While this region may not be a tourist destination like other parts of North Carolina, what it boasts is one of the best concentrations of high-quality barbecue in all of America, with history that’s unparalleled among barbecue destinations. With North Carolina’s growing beer scene, the Inner Coastal Plain has the breweries to pair with the barbecue. Most notably is Mother Earth, the environmentally-friendly California brewery, which has a brewery (with free tours) and tap room in Kinston. In Farmville there’s Duck-Rabbit, one of the first North Carolina craft beers I was introduced to, and in Greenville, Trollingwood Taproom and Brewery, which is one of North Carolina’s newest breweries. Growing up just 30 miles west of Durham, my parents and I spent many a Saturday at Bullock’s, yet another longtime North Carolina barbecue restaurant that dates back to 1952. We went for the pulled pork, but stayed for the hush puppies. They bring all the girls to the smoker. 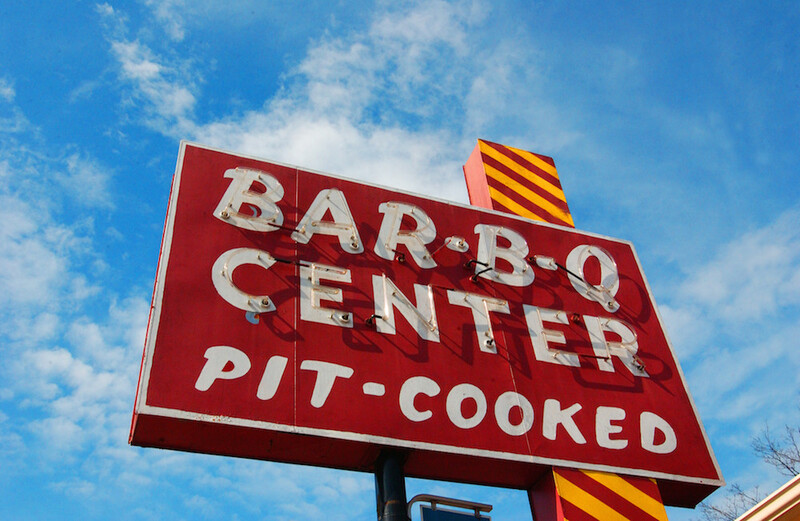 If you go to one place, however, make it Backyard BBQ Pit, which is consistently rated as one of the best barbecue restaurants in North Carolina. 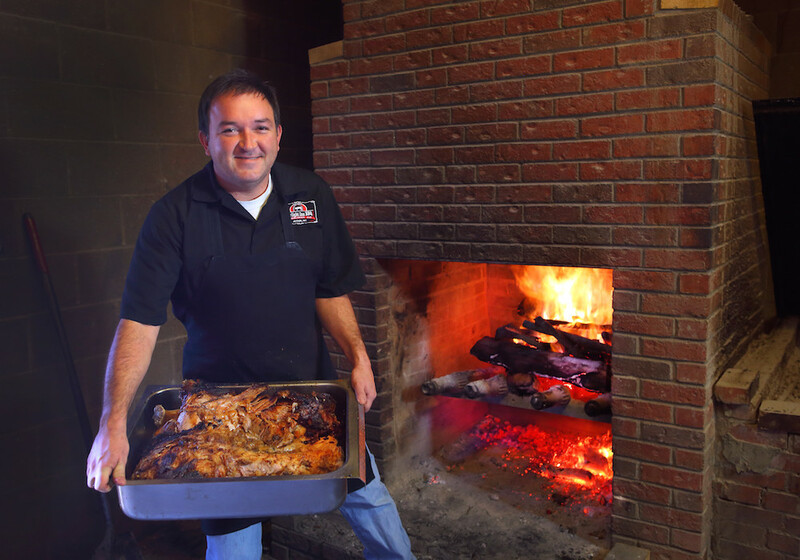 One of North Carolina’s newest barbecue restaurants is Johnson Family Barbecue, which actually bills itself as a hole-in-the-wall barbecue joint (and it is), smoking their meat over hickory wood in true Eastern North Carolina style. As you continue west, stop into Allen & Son Barbecue in Chapel Hill, which comes from renowned North Carolina pitmaster, Keith Allen, and is perhaps most known for its barbecue sandwich. Durham’s beer scene is one of the most unique in all of North Carolina. While it doesn’t have the number of breweries as nearby Raleigh, Charlotte, or Asheville, the breweries it does have are unique, such as Bull Durham Beer Company, the first brewery located in a minor league baseball stadium. Triangle Brewing Company is Durham’s oldest brewery, featuring unpasteurized and preservative-free beers, and one of the newest breweries, Ponysaurus Brewing, specializes in unique beers, such as their chocolate stout and fig saison ale. And now we cross into Western North Carolina, where the barbecue style is often referred to as “Lexington style,” featuring a tomato-based sauce, as compared to the vinegar-based sauce of Eastern North Carolina that doesn’t use tomatoes. Naturally, a Lexington barbecue tour should start at the appropriately-named Lexington Barbecue, which dates back to 1962, and is characterized by pork shoulders (rather than the whole hogs of Eastern North Carolina) roasted over wood coals. Located right on Main Street in Lexington is Barbecue Center, which of course has great chopped barbecue, but also features one of the biggest banana splits you’ll probably ever have. Elsewhere there’s Backcountry Barbecue, which is south of Lexington, and one of the more offbeat North Carolina barbecue restaurants, but which has been serving renowned hickory-smoked barbecue since the 1960s. While Lexington itself doesn’t have a brewery, Durham cidery, Bull City Ciderworks, recently opened a Lexington location. Even still, Winston-Salem and High Point, both just 20 miles away, have craft breweries, including Foothills Brewing in Winston-Salem and Brown Truck Brewery in High Point, which is one of the area’s newest breweries. 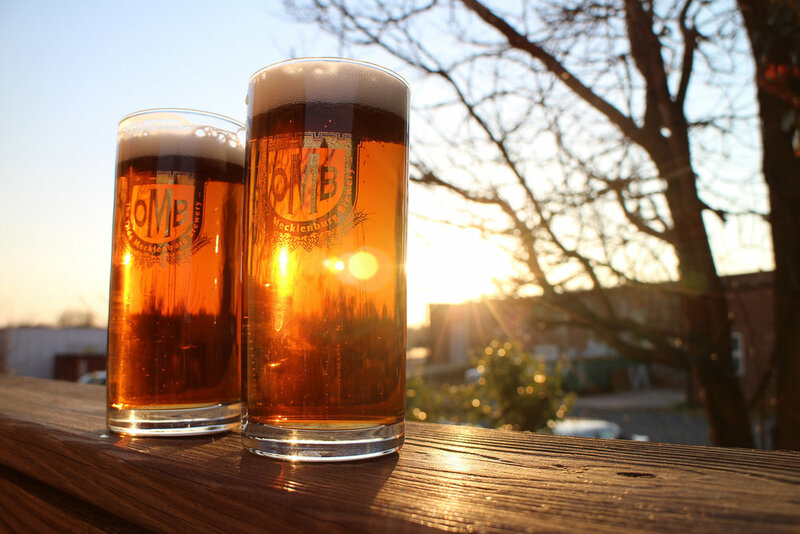 While many of these destinations here are more known for their barbecue, Asheville is rather known for its beer, featuring the most breweries per capita in America. Nonetheless, you have some great barbecue restaurants, not the least of which is 12 Bones, which was actually Barack and Michelle Obama’s North Carolina barbecue restaurant of choice. 12 Bones, featuring a couple locations, smokes their meats over select hardwoods, but is unique in that they also have a selection of beef brisket dishes, which is largely associated with Texas. Luella’s, which also has a couple of locations, has an impressive menu of sides that go along with their smoked barbecue, including deviled eggs, loaded fries, and award-winning fries. Buxton Hall Barbecue continues the non-traditional barbecue trend of Asheville, featuring Eastern-style barbecue in a more upscale environment (at least compared to many of the barbecue restaurants here). Bonus points that they also have a craft beer menu featuring local beers, which is something you’ll find at few barbecue restaurants in North Carolina. With more than 30 breweries to choose from, you’ll find no shortage of craft beer to wash down after barbecue. This ranges from long-time Asheville breweries like Highland Brewing and French Broad Brewery, to familiar beer names like Sierra Nevada, which has an outpost near Asheville Regional Airport. Other Asheville breweries include Wicked Weed Brewing, known for its hoppy West Coast ales, Catawba Brewing Company, and Wedge Brewing Company. All photos from VisitNC.com unless otherwise noted.